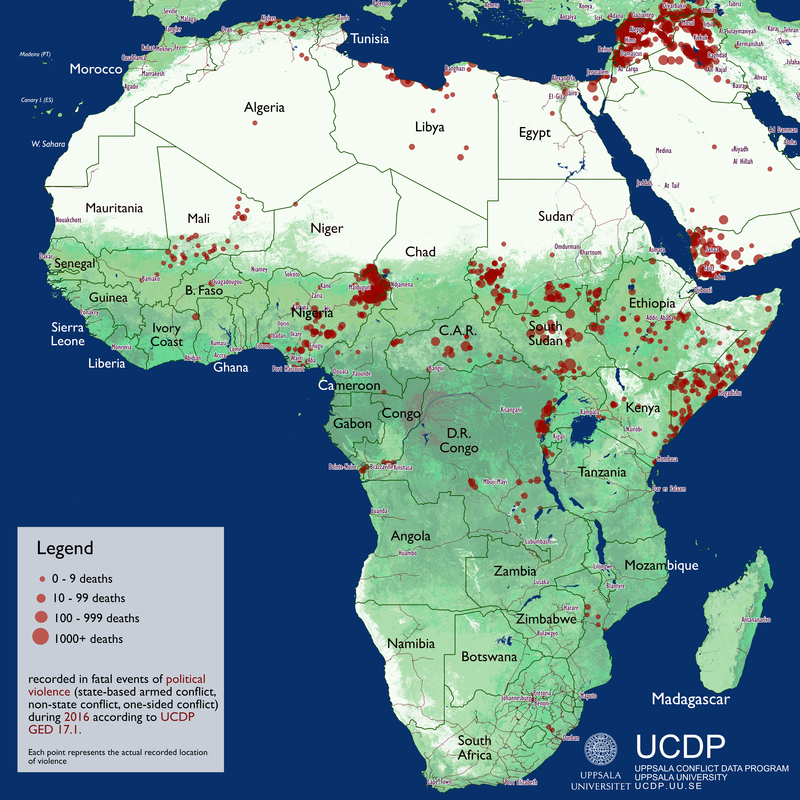 The Uppsala Conflict Data Program (UCDP) offers a number of datasets on organised violence and peacemaking, all of which can be downloaded for free through the download section. A number of illustrative charts and graphs are also available for free download and are updated on a yearly basis. Please always include the citation provided below when using the charts and graphs.